A member of the Jacksonville Sheriff’s Office was arrested over the weekend for driving under the influence in Florida. Larry Jones is an “assistant chief with the Jacksonville Sheriff’s Office.” He was stopped “early Saturday morning for suspicion of driving under the influence after a crash.” The Florida Highway Patrol made the arrest in St. Johns County FL. News 4 Jax reported, “Troopers said Jones was involved in a crash on Interstate 95 near State Road 206 in St. Johns County around 12:48 a.m.” Due to the crash, Jones was also charged with driving under the influence with property damage. Police issued him a Florida traffic ticket for careless driving as well. Jones told the Florida Highway Patrol officer that he was a police officer with the Jacksonville Sheriff’s Office. He was taken to the St. Johns County jail. His bond was only $500. He likely bonded out. Jones will need to hire a Jacksonville criminal lawyer to fight the DUI charges. Due to his position, this criminal case could be very damaging for his career. His drivers licenses will likely be suspended. Not only will he be dealing with the FL drivers licenses suspension, but he will also face criminal charges in St. Johns County. I am assuming that this is a first DUI and that Jones has never been arrested, so he is a good candidate for probation. 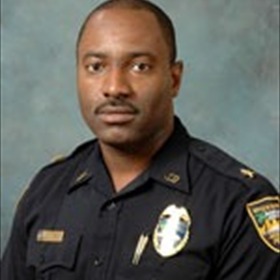 However, he could be reprimanded by JSO or lose his job. A criminal conviction may be devastating for him. The important thing to remember is that the News 4 Jax story that I have quoted did not mention any evidence that Jones was driving under the influence of alcohol or a controlled substance. Everyone is assuming that he was drinking and driving when he was impaired just because he was arrested for DUI. This is not fair. We should wait until more evidence comes out. How do we know that the Florida Highway Patrol officer was not mistaken? We do not know until we see the evidence. The law states that he is innocent until proven guilty.